Over on sciencealert.com, they report "Astronomers spotted strange ripples "unlike anything ever observed" around a nearby star." Learn more here. 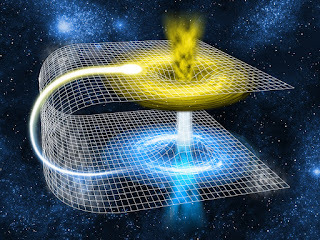 Also, on livescience.com, they feature "Chasing Wormholes: The Hunt for Tunnels in Space-Time." Find out more here. Finally, on discovery.com, they ask, "Has Kepler Discovered an Alien Megastructure?" Have a look here.